Our document shredding solution provides customers an alternative option for safe document destruction. 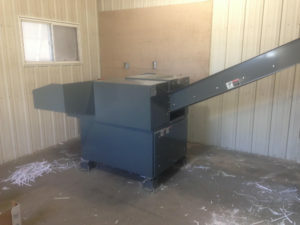 Rather than shredding material on your premises, the document shredding takes place at our facility. When you work with our document shredding you’re choosing a document destruction company that you can rely on. 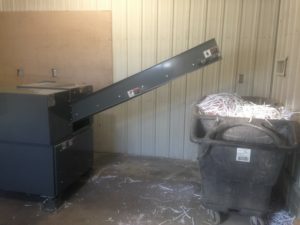 All material is brought to our facility and put in a single room with the Ameri-Shred Shredder. All material is destroyed by state of the art shred machinery. Our shredder is capable of shredding in minutes what might take hours to complete in house. All shredded content is collected and processed for recycling. Our shredding services are cost effective, environmentally responsible and secure. We welcome you to visit our shred facility at anytime.